Both of these following statements are true. (1) Attempts to encourage North Korea to abandon its nuclear program through diplomacy have failed and, chances are, will continue to fail. (2) Were the United States to strike North Korea, the reclusive regime has ways to retaliating which America and its allies cannot easily counter. The U.S. military is most worried about a North Korean nuclear-armed intercontinental ballistic missile, or ICBM, with the range to reach the U.S. homeland. If North Korea has not achieved this technical feat already by miniaturizing and “mating” a warhead to a reliable missile, then it’s quite possible it will do so by the end of the decade. “There is a real possibility that North Korea will be able to hit the U.S. with a nuclear-armed missile by the end of the first Trump term,” deputy White House national security advisor K.T. McFarland told the Financial Times. McFarland did not explicitly say the White House is treating a strike as the only option. But the White House is right to be skeptical that diplomacy with North Korea, an ultra-nationalist regime which maintains power through a “military-first” ideology, will encourage Pyongyang to moderate or abandon its goals. But striking North Korea’s rocket response forces — which could rain ballistic missiles onto South Korea — is a tactic with a poor track record. North Korea is mountainous, and missile launchers are not difficult to camouflage and hide from aerial spotters, who often must rely on grainy imagery to see below. 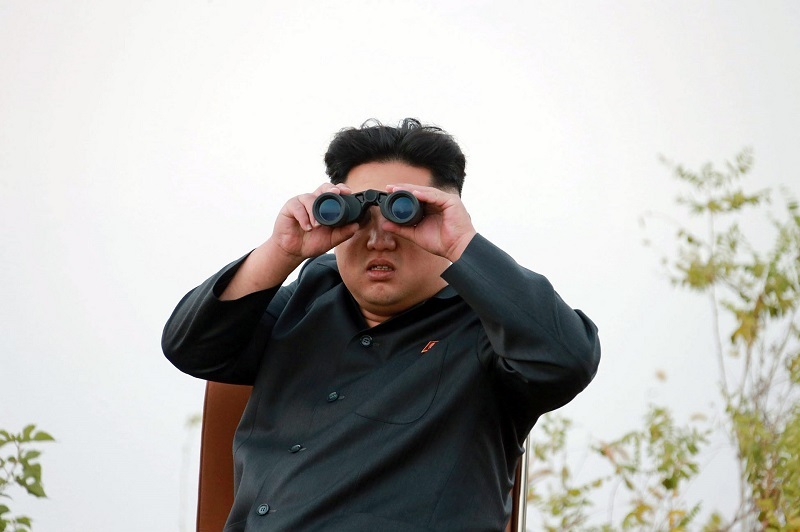 North Korea has also studied previous U.S. ballistic missile hunts and improved its own tactics. During the 1991 Persian Gulf War, U.S. and British commandos operating in small teams scoured western Iraq — with coalition warplanes flying above — for Saddam Hussein’s Scud arsenal. While U.S. officials at the time described the hunt as highly effective, post-war Pentagon research found that few if any ballistic missile launchers were successfully destroyed. While Iraqi Scud launches did decline during the war, they in fact increased during its final week. North Korea has a considerably larger missile stockpile than Saddam did in 1991. The Iraqi dictator fired at least 81 Scuds during the war, aimed roughly in half at Israel and Saudi Arabia, and caused relatively few casualties — although one strike on a U.S. barracks killed 28 soldiers and injured another 110. 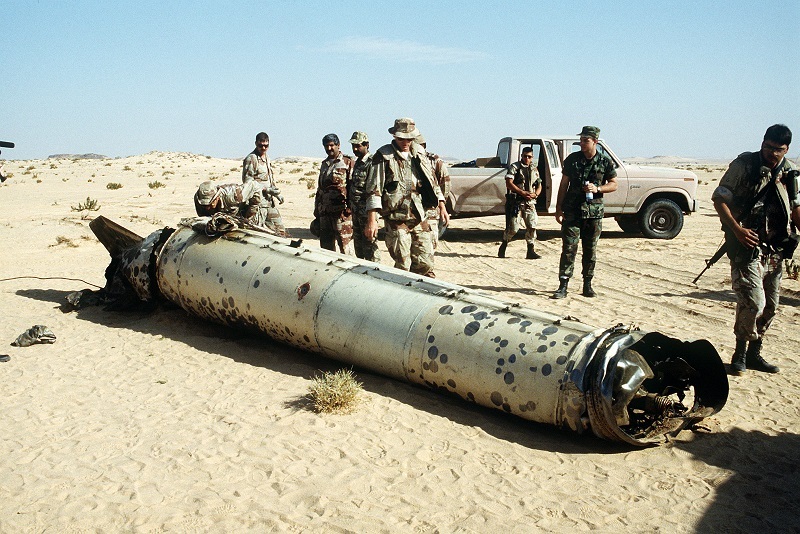 “The Iraqis’ use of decoys and other deception techniques, the quickfire ‘shoot and scoot’ capabilities of the Scud crews, and sensor and other technical shortfalls, plus the vast amount of terrain special operations personnel were expected to cover, combined to frustrate and undermine the coalition’s Scud-hunting mission,” the RAND Corporation, a think-tank closely associated with the U.S. Air Force, noted in a 2001 study. North Korea probably has around 1,000 ballistic missiles of various types — most of them close copies of missiles obtained from its allies. Most of these missiles are also relatively shorter range weapons, although they are capable of reaching anywhere in South Korea. The regime has also improved on its Scud arsenal. Around 600 of these missiles are in the Scud B, C and D categories, and 300 more are Nodongs–an upgraded Scud capable with a high firing arc, making it harder to intercept, and capable of delivering a 1,000-kilogram high-explosive warhead as far as Japan. The DPRK’s longer-range Musudan Taepodong missiles number in the several dozen and can reach well into the Pacific — and would be priority targets in a U.S. aerial onslaught. What’s less certain is whether North Korean missile crews are adequately trained for war. It’s possible most crews — given the size of the force relative to the number of missile tests — likely have limited experience. Accuracy and reliability of missiles throughout the force will vary, but it’s reasonable to believe that North Korea has hundreds of serviceable missiles which it can use in the event of a war. North Korea hasn’t stood still, either. The regime crunches data and has (unevenly) applied lessons from foreign wars through a series of military-controlled research institutes. North Korea has long-standing influence into Yemen, where Houthi fighters with ballistic missiles — some likely either supplied by North Korea in years past or modified with North Korean assistance — have continued to fire into Saudi Arabia despite a two-year-long air campaign. Desert Storm also made an impression on North Korea’s generals. The coalition’s ineffective Scud hunt apparently confirmed to the DPRK that its own missile forces would be hard-pressed to hit. It’s unclear whether North Korea changed its tactics after the conflict, and it’s possible confirmation bias prevailed and inhibited change, according to a 2010 study at the KPA Journal, which researches the DPRK’s military. North Korea has, however, embraced camouflage and deception especially regarding its missile forces. KPA Journal noted that a Korean military manual smuggled out of the country in 2010 directly cited Serbian concealment tactics in 1999 as worth copying. In 2004, the regime declared a “Year of Camouflage,” hinting at the priority. Which poses a real problem for U.S. and allied war planners. An invasion of North Korea would likely stop the regime’s missiles for good — but that would entail a horrendous war. Were the United States to launch an air campaign on the scale of Desert Storm, the odds are good that most of Kim Jong Un’s missiles will survive. Making nice with North Korea, or encouraging China to pressure the regime, probably won’t stop Kim from building nukes and improving his ballistic missiles, either. It’s a serious of options — all bad.